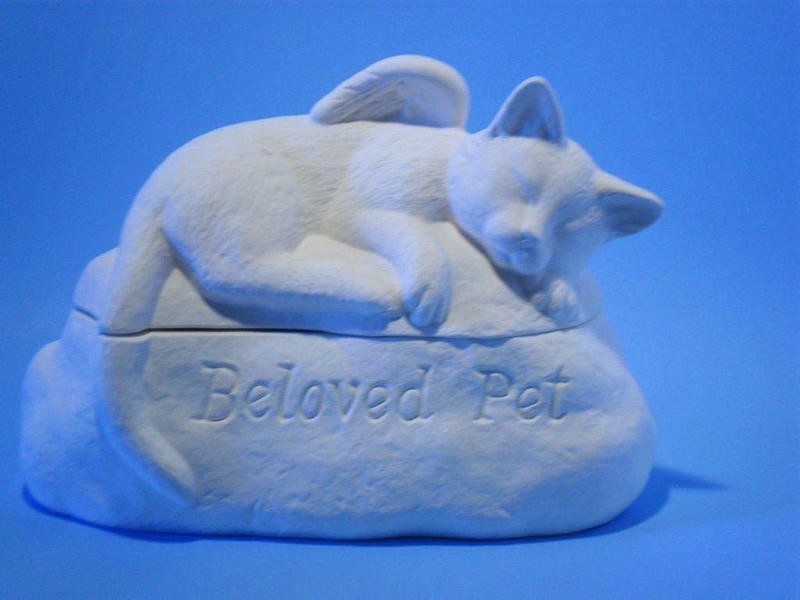 Ceramic pet cat cremation urn. 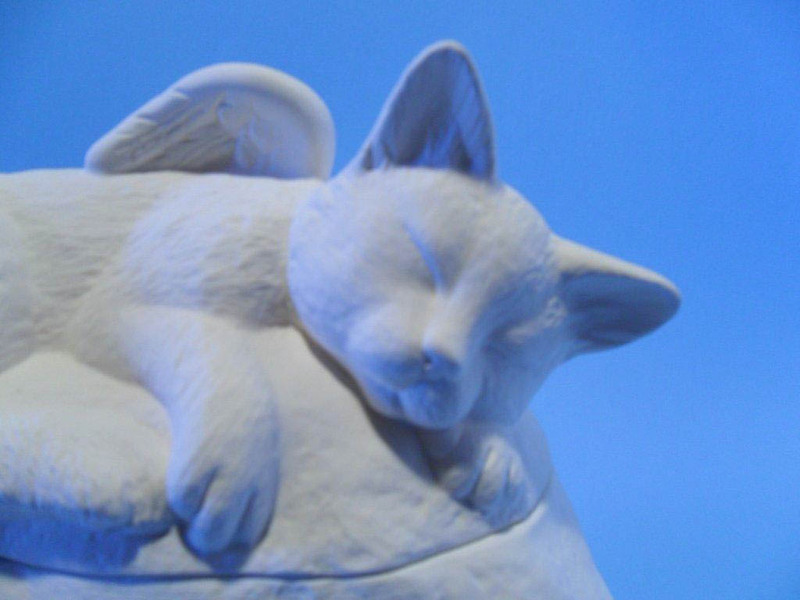 Lovingly hand made with the full dignity and understanding of this time of loss. 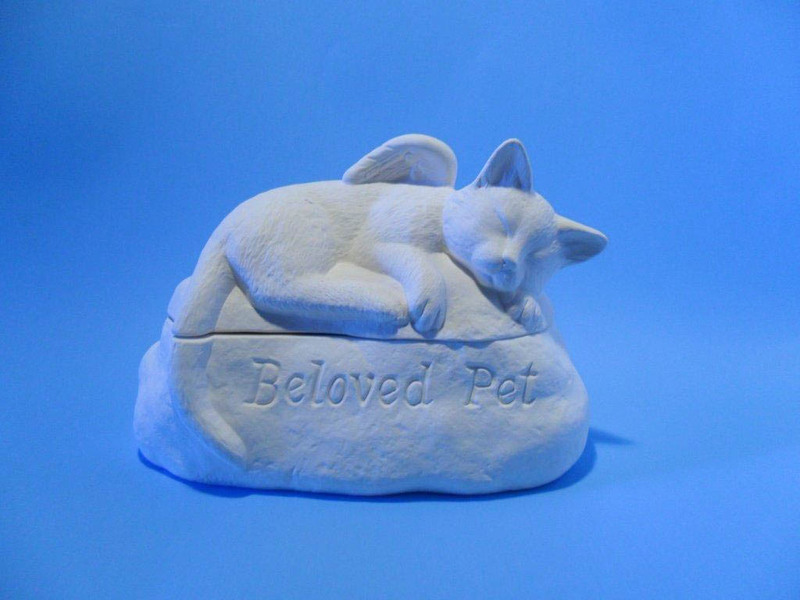 This piece can either have "Beloved Pet" engraved or the name of your pet, or no engraving, or another phrase. 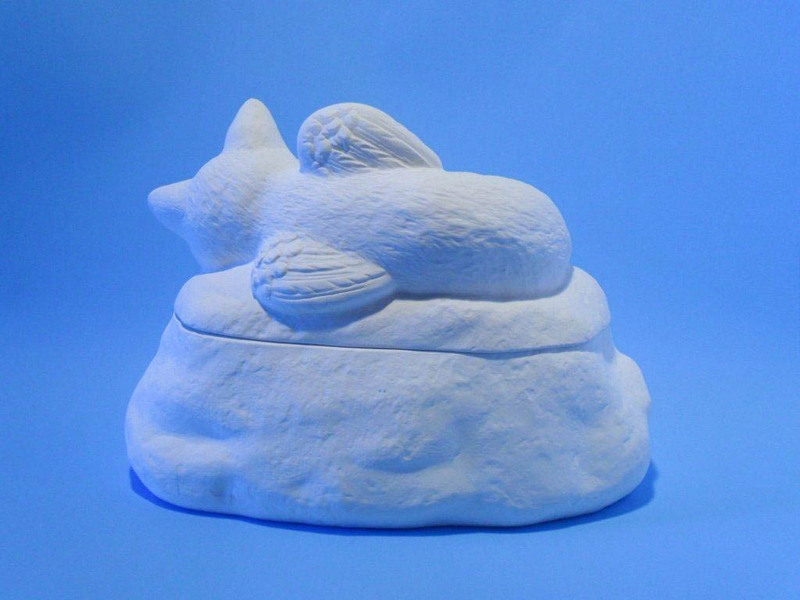 The inside of the bottom is glazed. Piece is ready to paint. 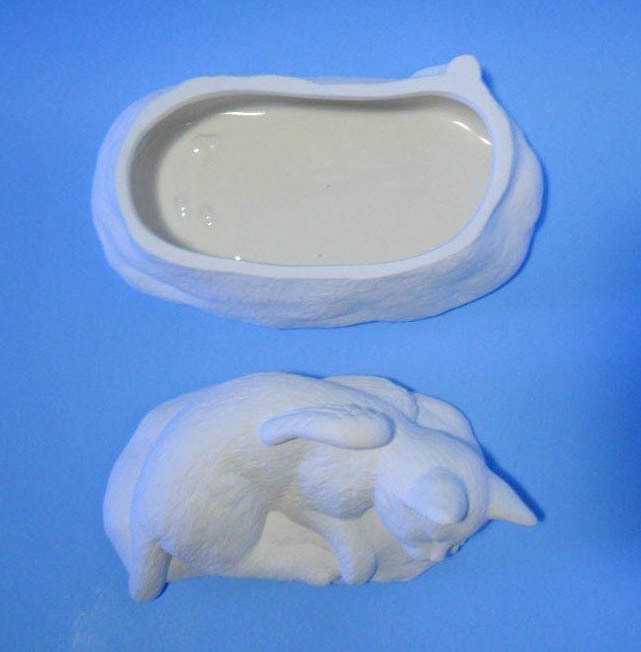 **This piece is hand made in my studio: we pour the mold, sand the item of any imperfections, and then fire the piece, along with a kiln fired glaze in the interior, in one of our studio's kilns.